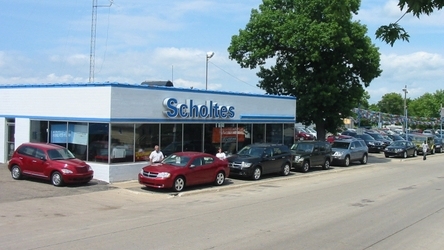 Scholtes Auto World is a fourth generation family-owned auto business, servicing SW Minnesota, NW Iowa and SE South Dakota since 1932 in Worthington, MN (map). Even in this age of Internet buying, we still stress the importance of personal service you can trust. We know our most important advertising and promotion still comes from customers like you. At Scholtes Auto World our policy is to treat every visitor to our dealership as an honored guest in our home. Our reputation and your goodwill mean everything to us and we will strive to earn your business. Our family of visitors include Brewster, Rushmore, Jackson, Adrian, Fulda, Luverne, Windom, Fairmont, Pipestone, Slayton, Mountain Lake, Edgerton & St. James, MN; Spirit Lake, Estherville, Milford,Spencer, Sheldon, Sibley & Sanborn, IA; as well as Dell Rapids, Brandon & Sioux Falls, SD.